Parenting and teaching children with special needs is near and dear to my heart. I have children who would be classified as exceptional learners in a traditional school setting. Through homeschooling, I am able to tailor their education to their strengths and work on their weaker areas. I have learned as much or more than my children because of the different methods I have used with them. Last month, I was asked to participate in a Special Needs Summit. I recorded my portion of the event this week, and I share about using The FlyLady system in my home to help my children. All children need a clutter-free home. This gives them peace and security. It is especially important for children with exceptional needs to have a home that is clutter-free and has order and not chaos. Children also thrive on routine. I share about using Zones to teach your children how to clean their room. You don’t have to leave your house to listen to the conference. It is a free online event. Register for your spot at http://www.jlewis.ca/fox/learning. 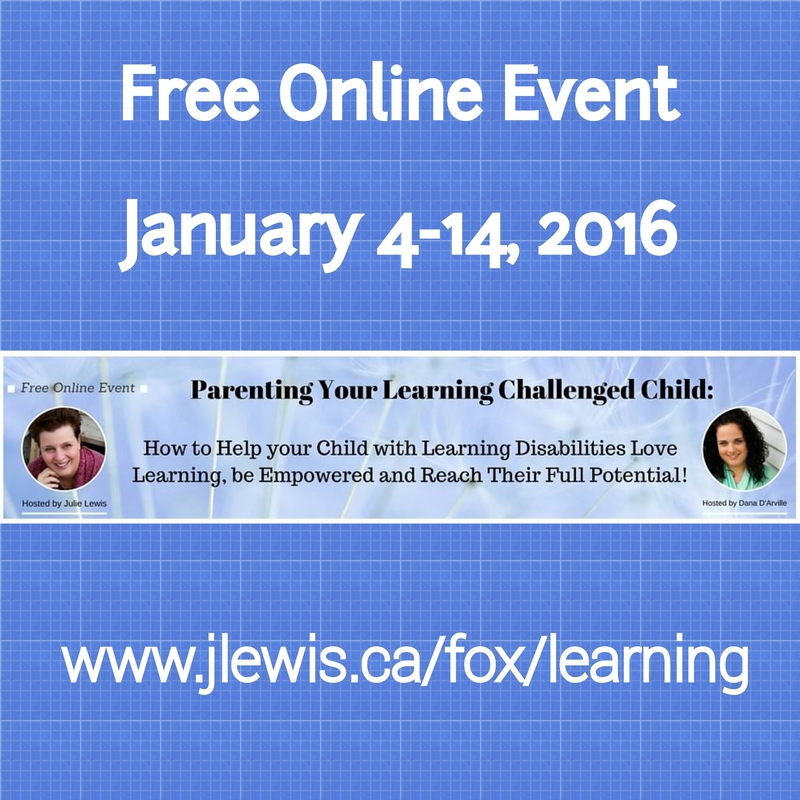 This online event will be running January 4th to 14th, 2016. It’s a great way to jump start the new year with some new parenting ideas and techniques. Here’s a sneak peek at some of the amazing experts! This entry was posted in home education and tagged homeschool, special needs by Tami. Bookmark the permalink.